The 6th Panzer Division was one of the key armoured divisions of the German Army during the Second World War. 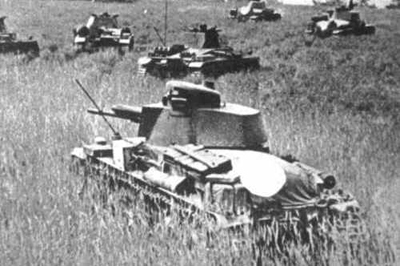 These web pages will eventually provide a comprehensive combat history of the division during the campaign against the Soviet Union from 22nd June 1941 until 7th May 1945. Key battles will be fought on the wargames table using the Blitzkrieg Commander rules and reports of each battle will be made available on the site. Each battle will be compared to the actual events that took place so that we might gain some insight into the way history is shaped by events on the battlefield.